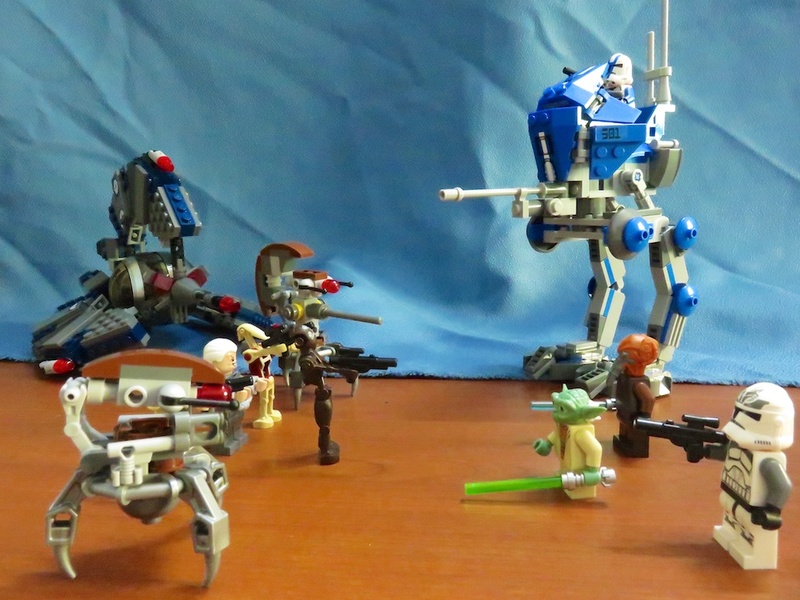 The day I started my Star Wars Lego collection, there was no turning back. No, I didn’t go to the Dark Side, I went to the Star Wars Lego side! After adding 75045 Republic AV-7 Anti-Vehicle Cannon and 75044 Droid Tri-Fighter, I added Star Wars Lego 75002 AT-RT and it had become my favourite Star Wars Lego at the moment and I am sure if you have the AT-RT, you will love it too! I have to thank DK for recommending me to get the Star Wars Lego AT-RT! It is very nice, not too big and you can bring it out! Master Yoda Lego figurine is really interesting and cute, Master Yoda figurine Lego legs can’t move! The building and construction of the AT-RT wasn’t too difficult and won’t take up too much of your time! For this particular construction and building of the AT-RT, I photographed/documented the process with Canon PowerShot SX700HS and Sony Alpha 6000 camera review units! Do keep a lookout for my upcoming camera reviews! The Star Wars AT-RT is the short form for All Terrain Recon Transport and more information on the various Star Wars All Terrain vehicles can be found here on Wookieepedia, the Star Wars Wiki! Since the AT-RT is a reconnaissance vehicle, I have some personal plans and ideas to bring the AT-RT out for “reconnaissance exploration photography projects”, inspired by LEGO Travellers and Danbo! Keep a lookout here on my Facebook Page and Instagram for my AT-RT exploration adventures in Singapore and hopefully overseas travel too! You can follow my Star Wars Photography collection here on Flickr! Walk and explore with my Star Wars Lego AT-RT, bringing you around to many places through their recon projects! 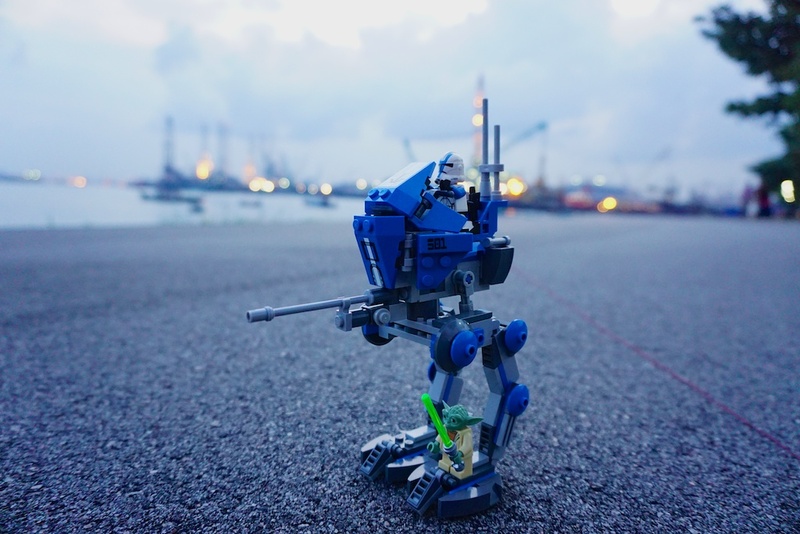 Here’s a sneak preview, my Star Wars Lego AT-RT exploring West Coast Park Singapore!